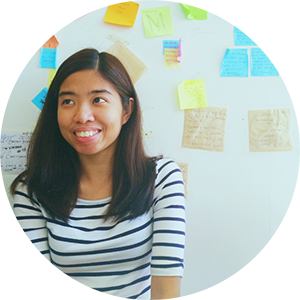 #FFCPH6: Where Do Bloggers Fit In Webdesign Conferences? 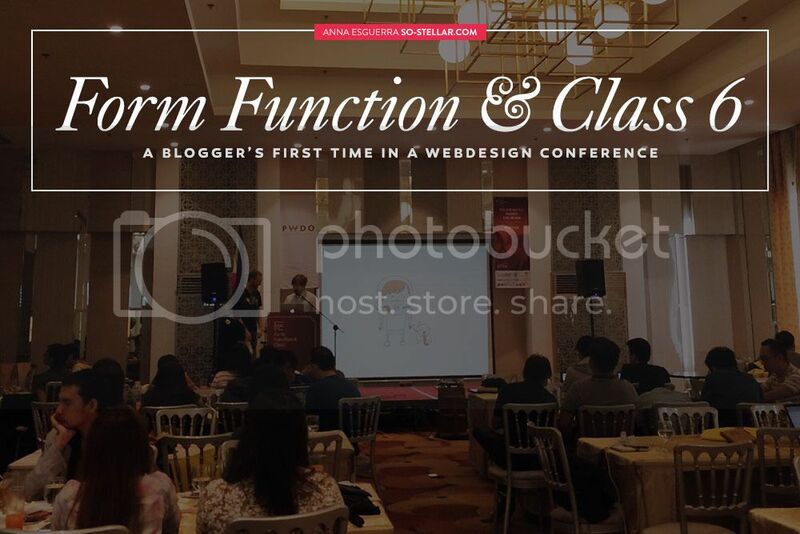 The recently concluded Form and Function Class 6, organized by the Philippine Web Designers Organization was held last weekend at the Hive Hotel in Quezon City. Rarely are we made aware of quality annual design events such as this one especially for the webdesign industry in the Philippines. I thought there’s only Graphika Manila conference that ‘represents’ the design industry when it comes to PH conventions! First timer here, too, and I must say, the only ‘regret’ is not going to the previous ones! Or that why I didn’t go sooner?! All those topics I’ve always wanted to know more about but never had the opportunity to better understand it, missed from the previous FFC conferences from other speakers! Tsk. Throughout the years, I hear about FFC events sporadically, but they’re not promoted that well I think so it doesn’t have that much recall to me to the point I would go to one. I also had the notion that it was for the coder type of designer and that it would be too intimidating and a completely new world for design-centered/visual designers. At least from this event I learned and know better than “web design” itself is just more than “just Photoshoppin’ a PSD layout”. So. Much. More. How I would sum that weekend in general, from what we learned: There are standards, rules, semantics, and even ergonomics that as a good web designer should follow. Different methods, steps, but essentially the same base of work process. Much like how another person who specializes in building physical products that aim to keep its audience or users coming back and/or patronizing it. A website is a product that we must always, always make accessible to any and every user out there. As much as possible, optimize it for mobile users (RWD is in demand now more than ever, also should be a standard – from my standpoint, this is costly) because no less than 70% of today’s population are now mobile/smartphone/on-the-go users and if they can’t be bothered accessing your website blog there, they’ll give up within 5 seconds. Consider that AND how slow both the mobile internet and cable/DSL internet here in the country is, too. Although there were times that one idea from one speaker to another was kinda contradicting to the previous speaker BUT both of them equally have their pros and cons and its up to you to use them accordingly to the situation that asks for it. Thanks FFC for opening my eyes to this and making me more aware of things like those. Such an overlooked aspect that we take for granted when it’s one thing we should really take into careful consideration in the earlier stages of producing a website as it can really make or break the whole output. Also I wonder if the presentations will be uploaded at some point because I’m such a model student, I didn’t bother taking down many notes. Okay. Now that I said that out loud, here’s another thought that came to my head after that: Sadly none of those factors matter and looked into thoroughly to be addressed for our blogs especially the majority of niche bloggers who use and slap over their blogs the same theme template. Personally, that kind of “product” would make me not want to see the rest of it anymore because my first impression is that it’s just the same. Also, it’s visual appearance and design over usability for majority of us. On the other hand, maybe it’s the age bracket, too? We don’t mind seeing really tiny fonts if it helps with the design, although I understand it is bothersome. Responsiveness, as long as it looks OK in previews and in desktop then we’re all good to go, yay! Right? Did you know that sometimes your ads do not resize accordingly though, and that your pretty pretty blog oh god forbid anyone pouring blood in it!) looks as wide as your thumb? Yes this happens. Or maybe I am pushing it too far because the sessions focused on e-commerce, brands, news, and company websites? Then again, majority of other people’s blogs (at least the ones in the Philippines) ARE their own brands now, too. Was it focused on designing for a better, convenient web experience or monetizing? Probably the first! There’s another avenue to learn more about monetizing blogs haha. With this newfound knowledge.. I’m torn if I wanna do a complete 360 revamp of my blog. But it’s not like it looks terrible now (not a question, lol). After last night, I was feeling inspired to go back to code from scratch, and apply everything I learned, and then I looked at my Dashboard and saw I still have a buttload of drafts to finish, ugh. I also noticed there were rarely any influencers bloggers at the event. Not that I was expecting but I figure they’d be there and easily recognizable because y’know.. there always seems to be one in every internet-related event, haha! Also.. webdesign + blogs = don’t these two go hand in hand or am I missing something in here? The blogger community did not have a presence there, in my opinion, when I think they are also a part of the webdesign community. Some bloggers started from creating and coding their own layouts back in the day, too. 😉 Though some organizers’ faces looked familiar, like they were bloggers from years ago, back when I was just starting. I only remembered when I saw the names after the event. Oh well, maybe they’re completely different groups of people. The blogger community as a whole and the webdesign community. Also maybe in a few more years since this event is only on its 6th year, so I will give it more chances for improvement. Haha, I’m too old to be part of the #youths crowd anyway, which is what almost the entire blogger generation is composed of now managing, if not health and beauty and travel and lifestyle (if you wanna be an all around “I want all the free$hiz” kinda blogger) blogs. So yeah, those are my sentiments! Haha. This came out like a reaction paper for school.. I tried to contain my feelZ and tried not to sound harsh and I hope this doesn’t get me banned from next year’s FFC7. Like I wrote on my paper.. my suggestions for next year is to “surprise us”, with this new suggestion (a day too late unfortunately!) maybe consider inviting over a Blog (web?) Designer to talk about Blog Design Practices. 😀 I know there’s one event for Brand Collaboration w/ Bloggers already, but I haven’t heard anything about events discussing Blogs and Design together. I was able to attend the first FFC, I think, way back in 2011 if I’m not mistaken haha since I’m part of the organizers. I also attended one Junior FFC before. And because I am, I hardly listened to all the speakers because I roamed around the area and stuff haha Also, it was too much for me kasi nanonosebleed ako haha Or maybe because I was still a student back then and never thought I’ll be in the front-end development path so hindi ko masyado pinansin haha. And yes, sana mas magwork-on sila sa pagppopromote. I didn’t think that there would be bloggers here, kasi I’m thinking this is more catered for those who work in the web development side talaga. But now you mentioned it, I think bloggers need to hear this out too so they know what’s wrong and right for their blogs. 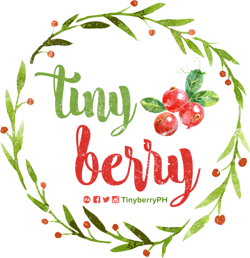 But again there are a lot of themes available, and freelancers who can do that job for them. But anyway, thankfully, yes, we have these kind of conferences now. Most I see are all about back-end and designs. Good thing there are for front-end na din!